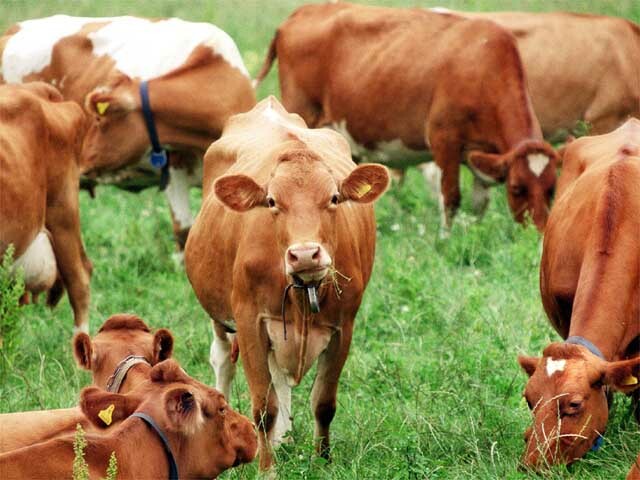 Whether you own a few Guernseys, a whole herd, or you're just a Guernsey lover at heart, the Wisconsin Guernsey Breeders' Association is for you. We are proud of our 90-year history of activities that promote and improve the Guernsey breed in Wisconsin and throughout the world. Visit with our state members and you'll soon see why Wisconsin is the source for elite Guernsey genetics. Our members know the advantage of the breed's high component milk and are constantly making strides to build upon the breed's unique characteristics.